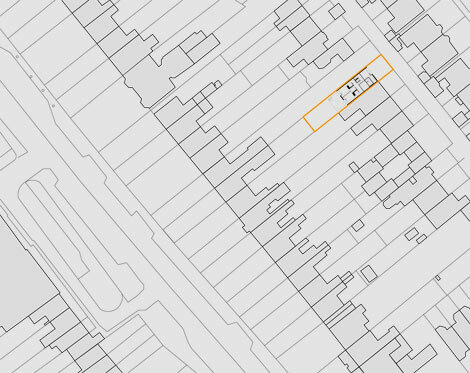 Located on Morehampton Lane, Donnybrook in the rear garden of a protected structure the house is aligned with the existing building line established by no’s 11-16 to maintain the overall order and general character of the lane. 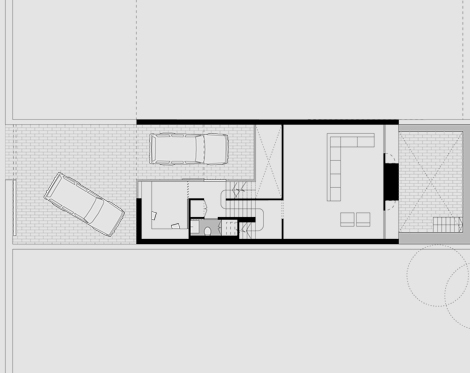 Set over three storeys, to include, two storeys over a small full basement level to the front and two storeys over a semi basement level to the rear. 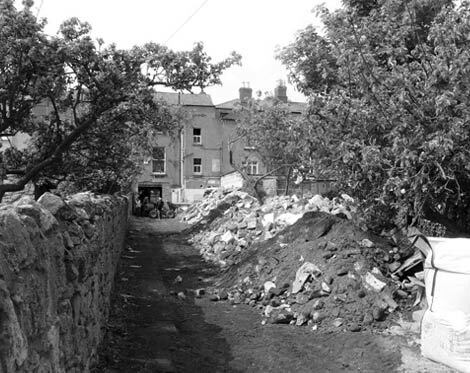 This strategy results in the height and mass of the volume fronting to the street being reduced. An entrance courtyard is maintained to the front, a garden to the rear while internally the house organises itself around a small central courtyard that relates to the main staircase. 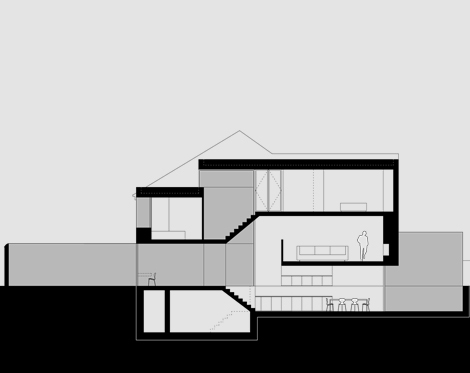 The six levels of the house, generated by the stepped section between front and back, are connected by a sequence of intermediate half landings. 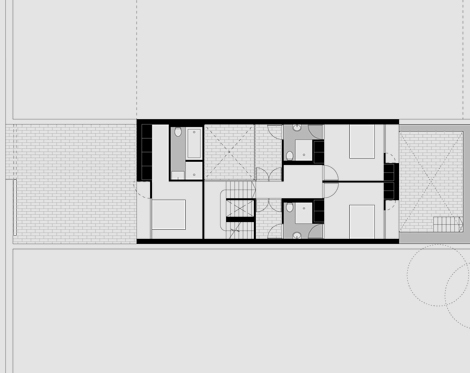 The rear block accommodates two bedrooms over a large living room that is in turn connected to a kitchen and dining area below by means of a double height volume. This family room opens to a large garden terrace at level -1.5m below existing ground level, with the rear garden accessed by a flight of granite steps the full width of the plot. 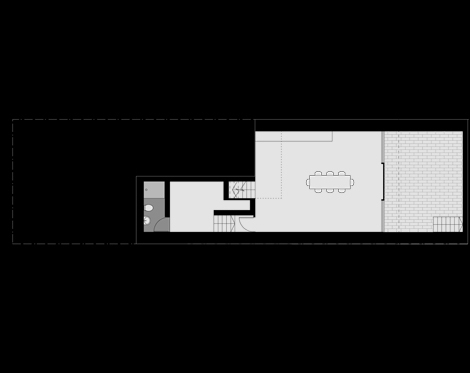 The front block houses the masterbedroom over a study, with a large utility room below. The house is faced in brick with aluminium windows and reveals and is rendered internally.